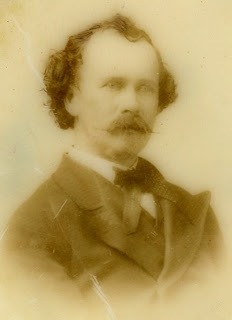 This gentleman decided to memorialize his mustache with an opaque glass ambrotype. A bold choice considering the amount of fine detail that was lost. Perhaps a lover was the intend of this image, but leaving researchers and aficionados such as ourselves in a historic fog. This mustaches look really awesome! Really, as i run a blog of razor, sharing this content will be relevant. Specially, this admirable person shows off with this bold mustache.